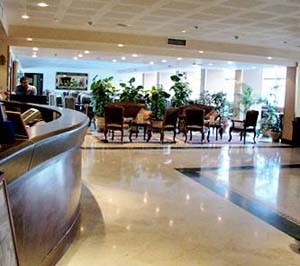 The Jerusalem Gold is an elegant hotel in the heart of the new city, next to the Central Bus Station and a 20-minute walk from the historic centre. 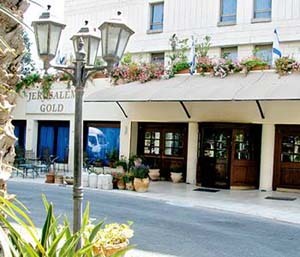 The Jerusalem Gold Hotel is located at the gateway to Jerusalem, the capital city of Israel, 15 mins walk from the city center, at 234 Jaffa Street. The 11 story, hotel stands across from "Binyaney Hauma", Israel's International Convention Center, and is adjoining the new modern Egged Central Bus station with its contemporary shopping mall. One can walk to the Old City from the hotel. and faith that is Jerusalem. The hotel has 196 elegant rooms, rooms for handicapped, (Brail numbers on all doors) including 24 Junior Suites. Every room has sound-proof window frames, equipped with, television, internet, E-mail, video games, mini fridge, safety deposit boxes (laptop size), telephone with international line, bathroom with a bath, air-conditioning and elegant mahogany furniture. 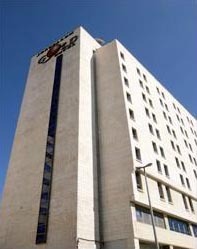 The Jerusalem Gold Hotel has a business centre with several meeting rooms and a range of business services including Internet access. Multilingual staff at the 24-hour front desk can assist with currency exchange and concierge services. 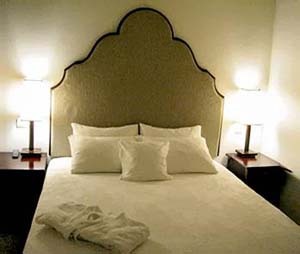 Other amenities at the hotel include room service and laundry facilities. 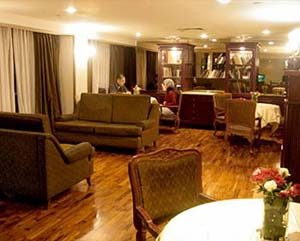 Guests of the Jerusalem Gold Hotel enjoy a complimentary buffet breakfast each morning. Massada - Diners can choose from a menu of oriental cuisine, served in a European atmosphere. Jerusalem of Gold - Serving a range of typical Jewish dishes in refined surroundings.